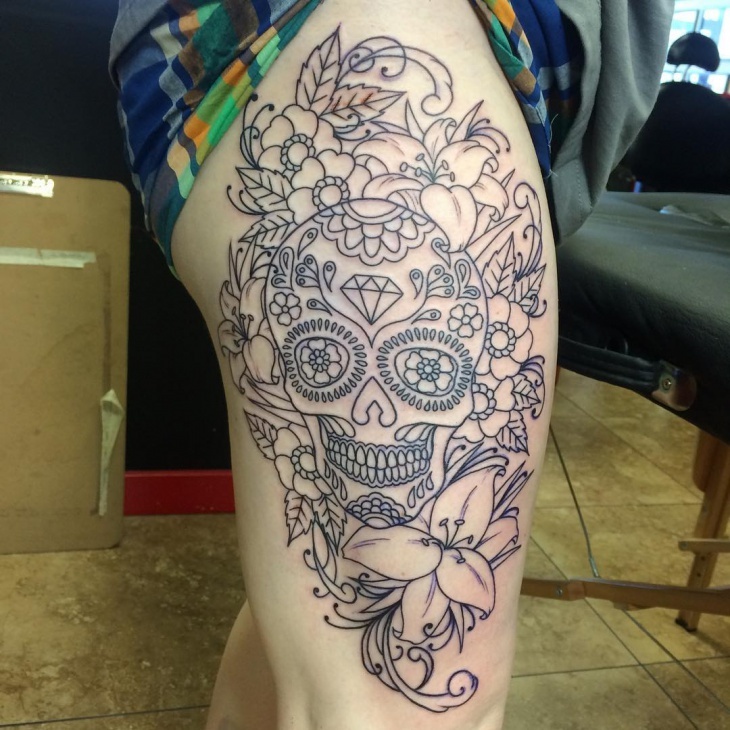 Tattoo designs are a form of self-expression for both the millennials and older generations. 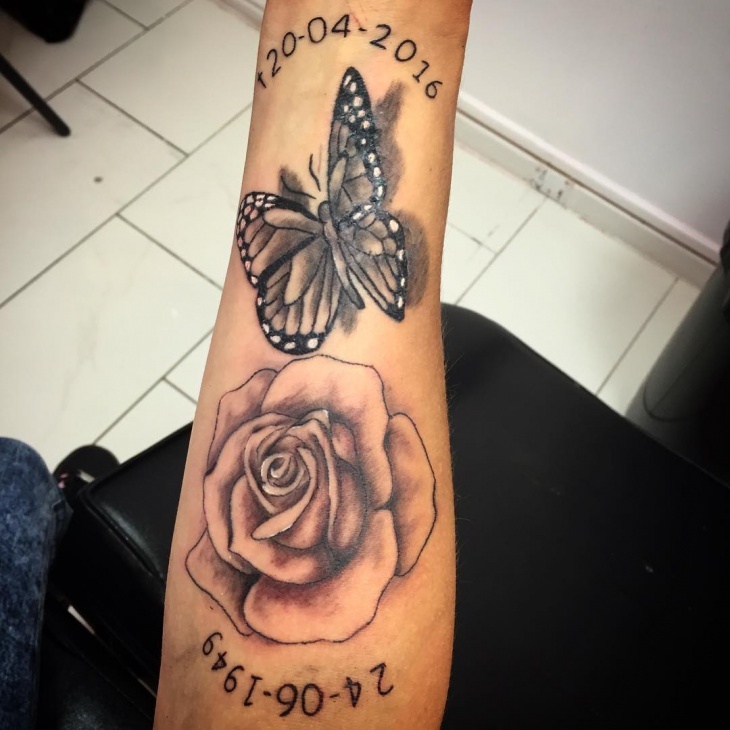 While tattoos were associated with gangsters, punk lifestyle and criminals they have become popular with various celebrities including successful athletes. 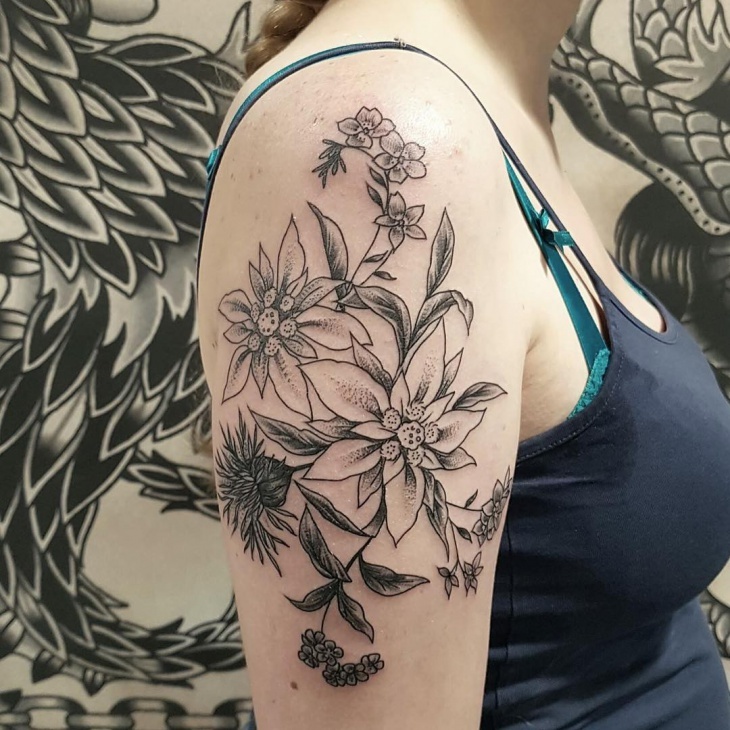 Flower tattoo designs are popular with girls of all ages, but when incorporated with other elements they bear a unique symbolic meaning that highlights an individual’s life or traits. 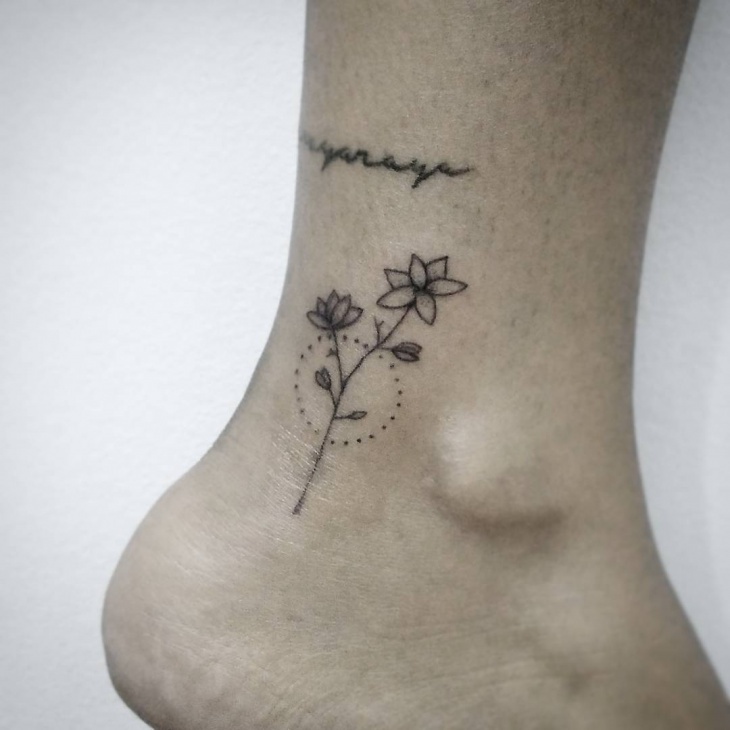 So relax and check out this stunning flower tattoo designs for all genders. 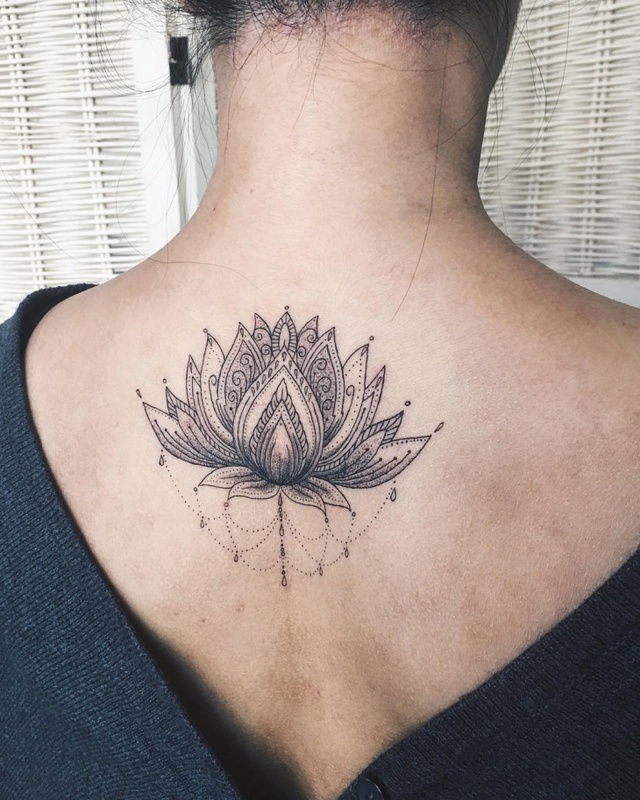 Whether on the arm, chest, back or feet, a lotus flower tattoo design is attractive. The way it submerges in ponds at night and appears during the day gives the lotus flower a symbolic meaning of rebirth. 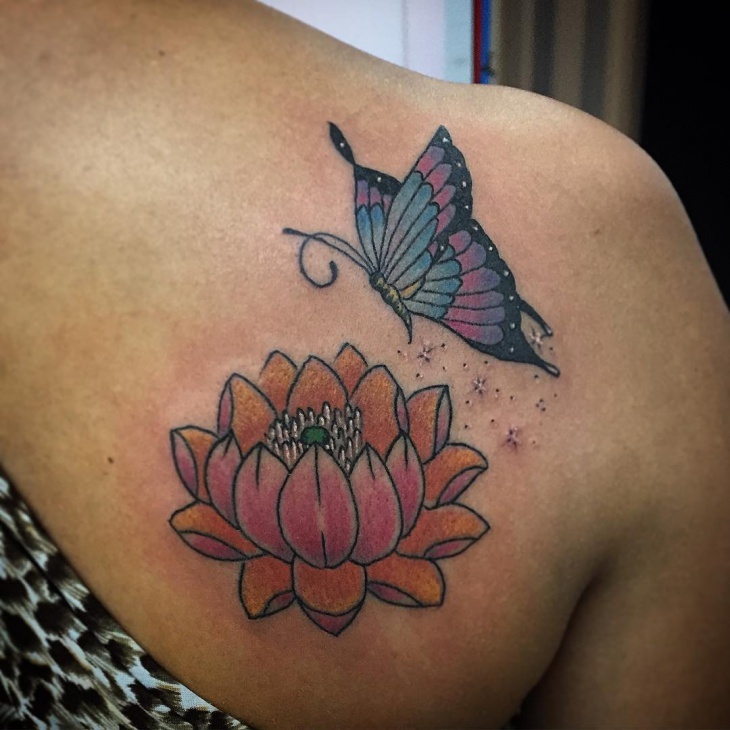 You can get this lotus flower tattoo in different colors such as white and pink which represents purity. 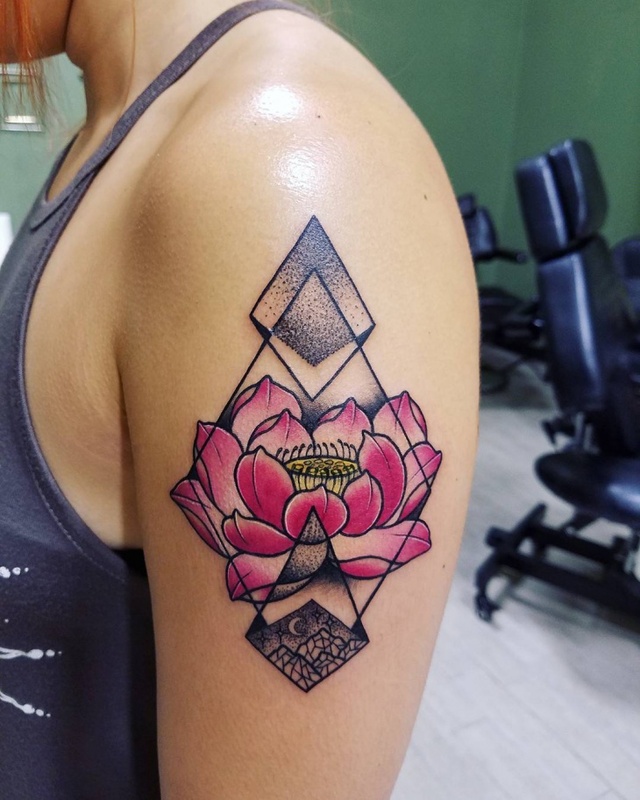 If you’ve been to Hawaiian for a vacation, then you must be familiar with the famous flower patterns that are synonymous with this exotic island. 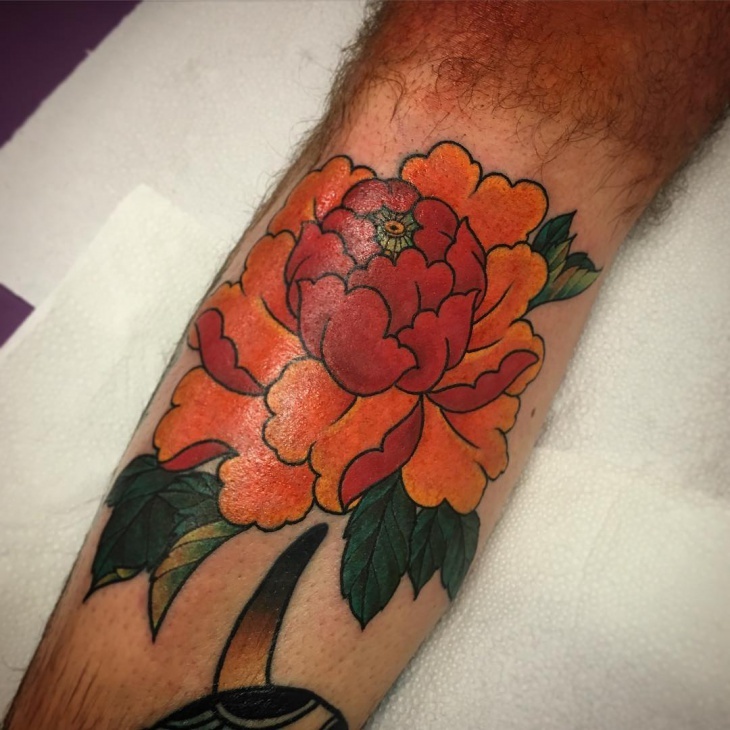 They tend to feature vibrant flower designs that complement all skin tones. 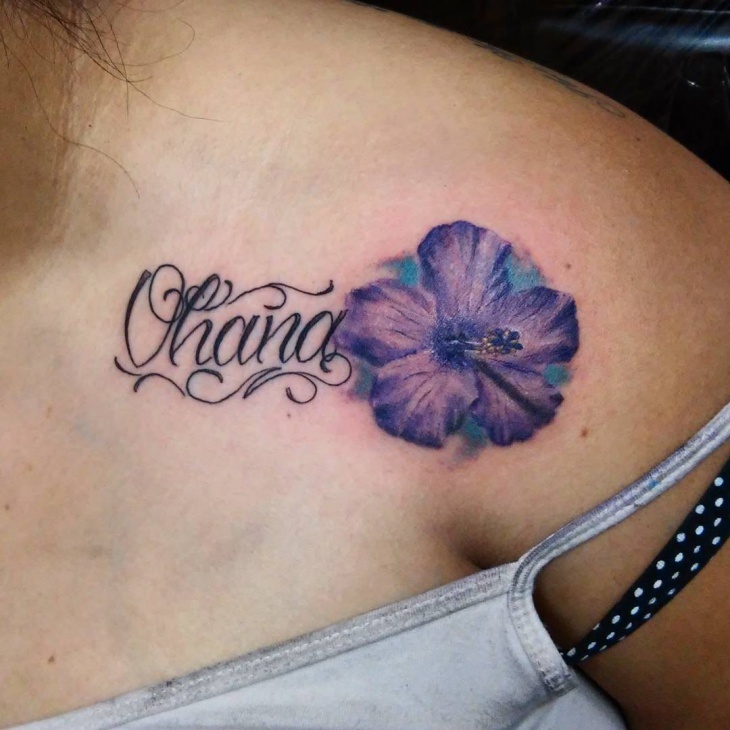 So if you love this exotic island why not get a Hawaiian flower tattoo design. 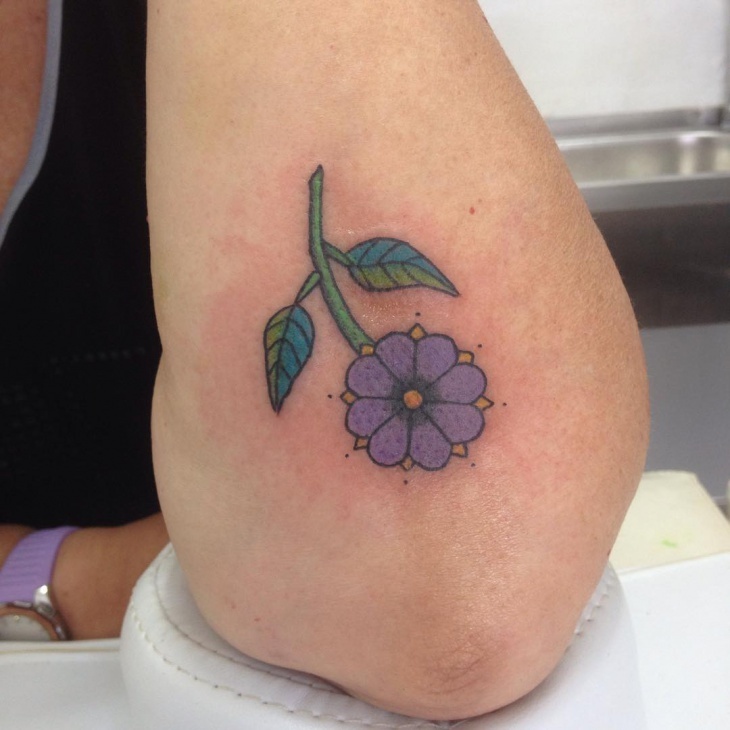 Small flower designs are perfect for people who prefer subtle tattoo. 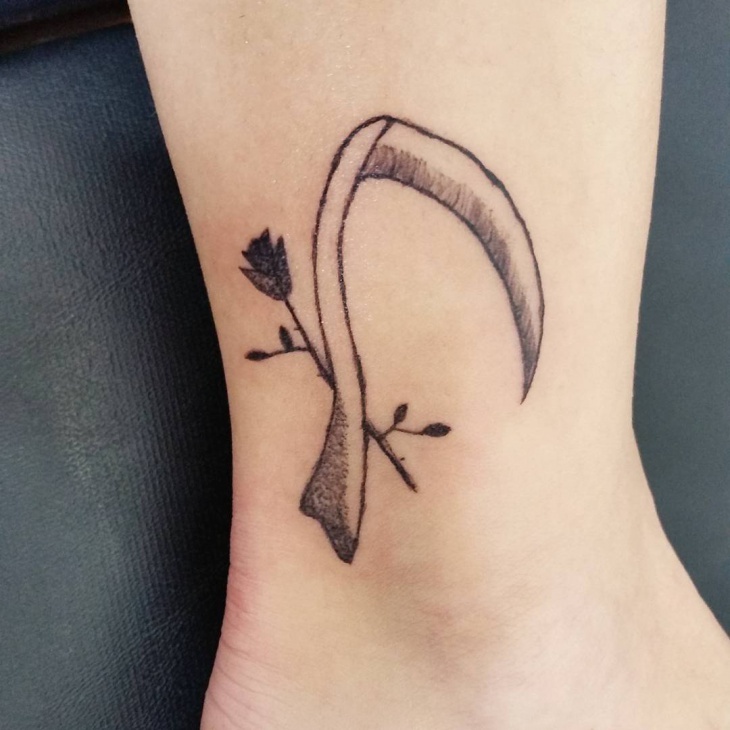 Individuals getting a body art for the first time can opt for this design which comes with low pain. The small size makes it low maintenance hence will heal at a relatively faster pace. The color and type of flower are entirely up to you. 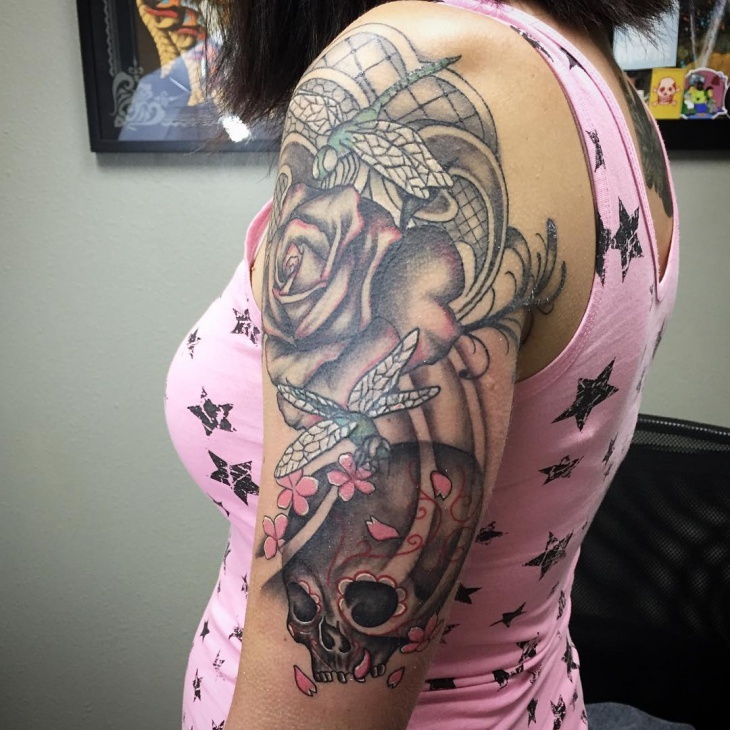 Half sleeve tattoo designs when done in a color that complement the skin will work to make the arm beautiful. 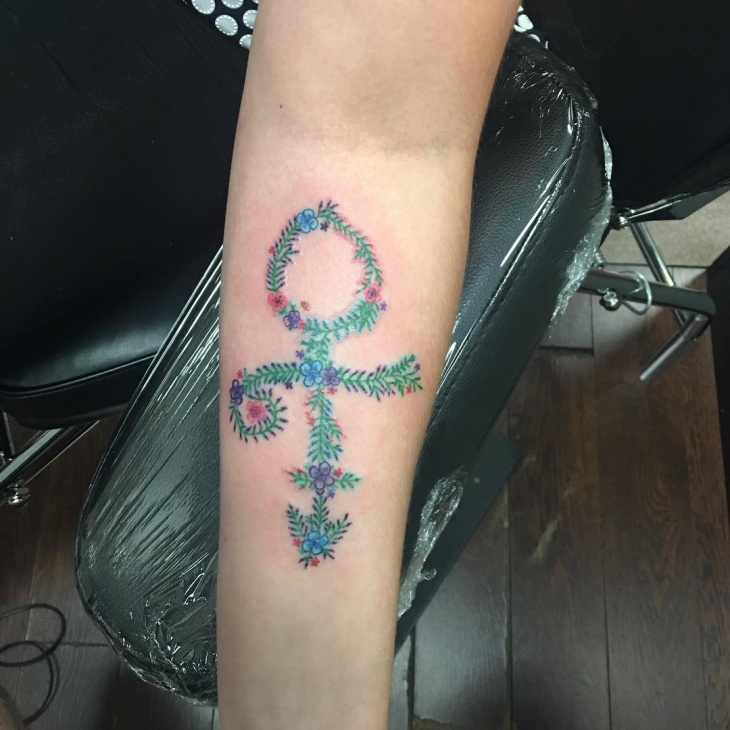 With the size of this tattoo, you do not have to worry about which jewelry to wear because each design is unique and will draw attention towards the sleeves. 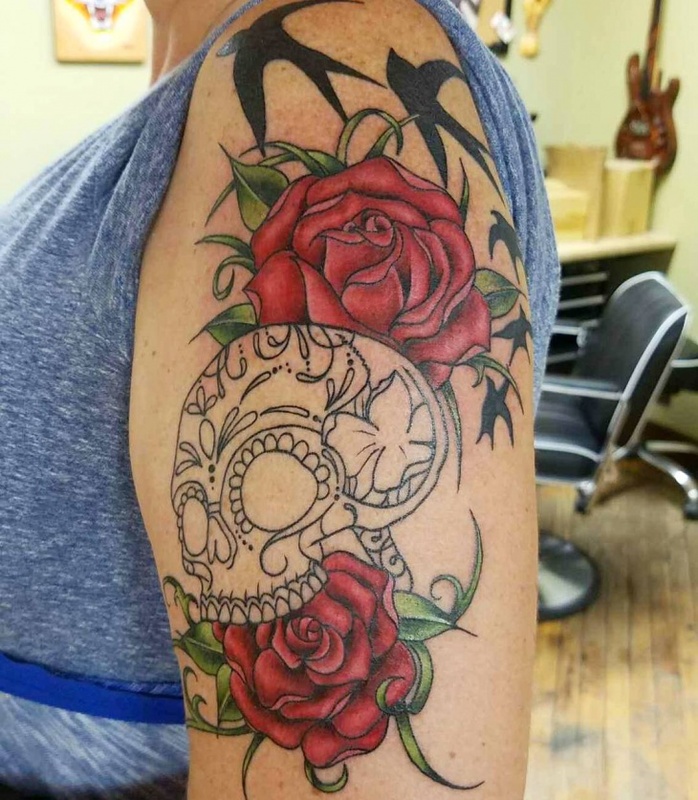 Skull tattoo portrays a frightening trait or even a dark past. 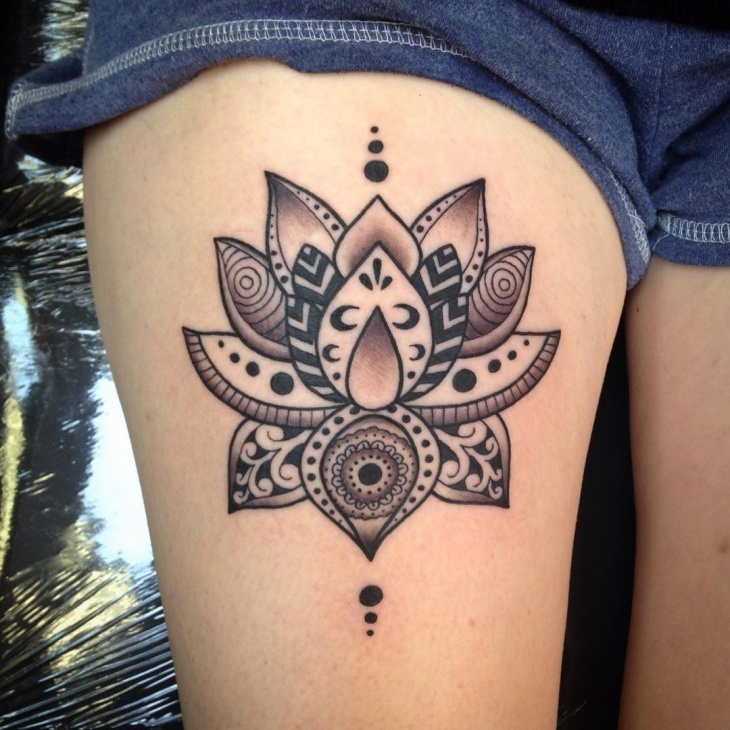 However, when combined with a flower they show positivity or a vibrant attitude towards life. 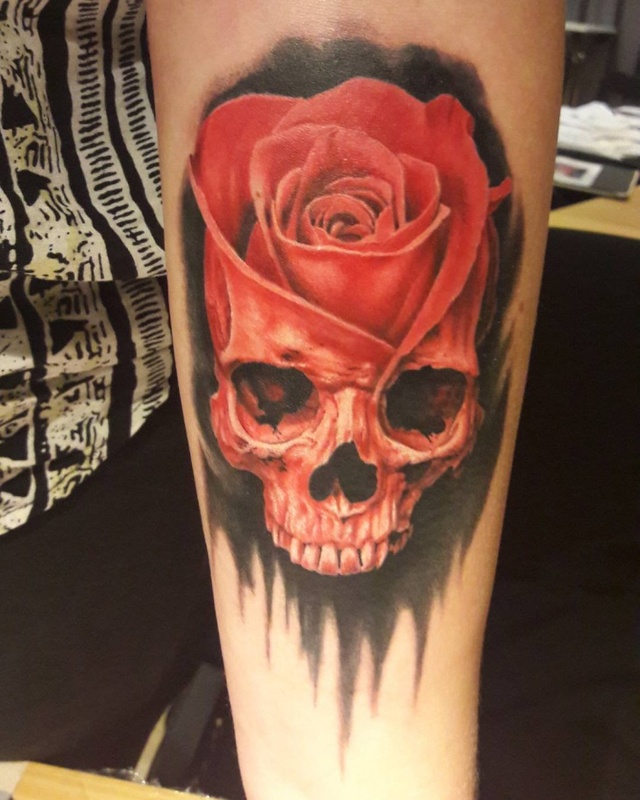 While skulls are popular with men, skull and flower tattoo designs are unisex hence will look good even with girls. Tribal tattoo designs help to show the warrior trait within you. 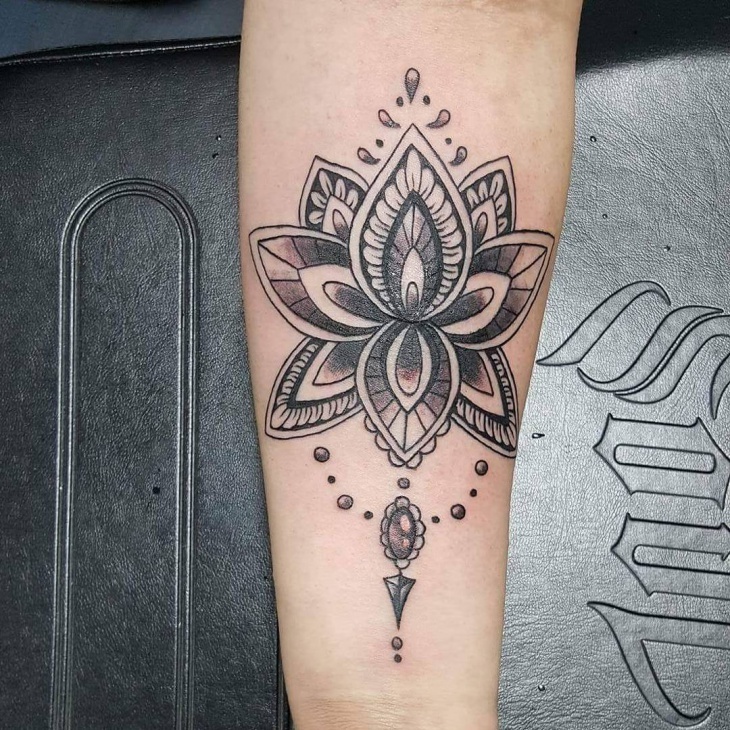 While tribal body art is a favorite to men, when you add a flower tattoo it gives it a feminine image making this design suitable also for girls. 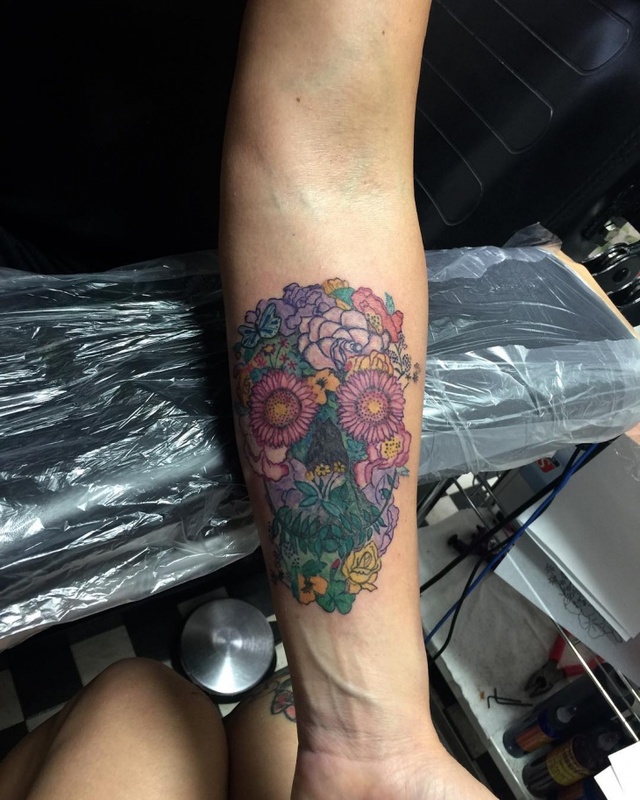 Since most tribal tattoos are in a black shade, go for flowers in bold colors. 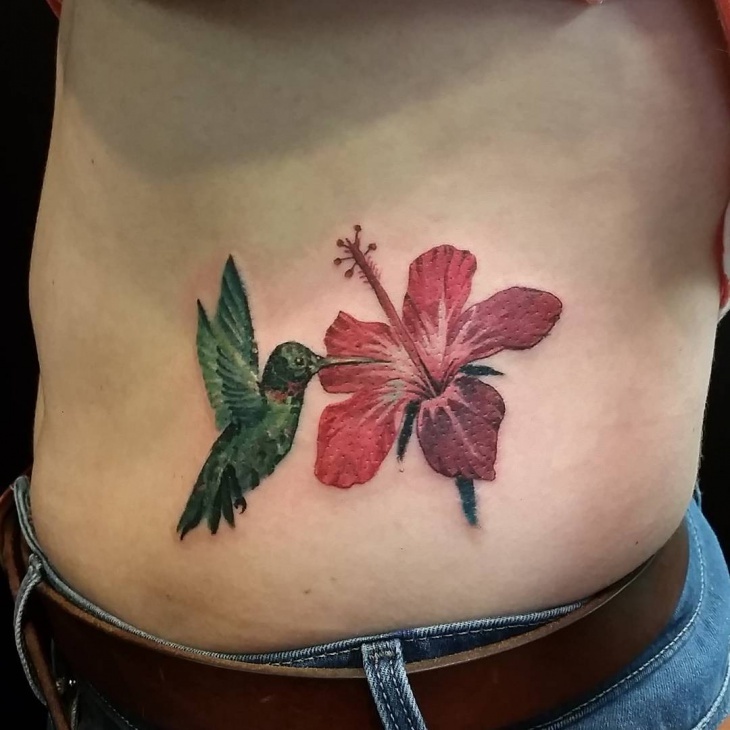 Tropical flower tattoo designs can be large, small, bold or subtle depending on a person’s preference. 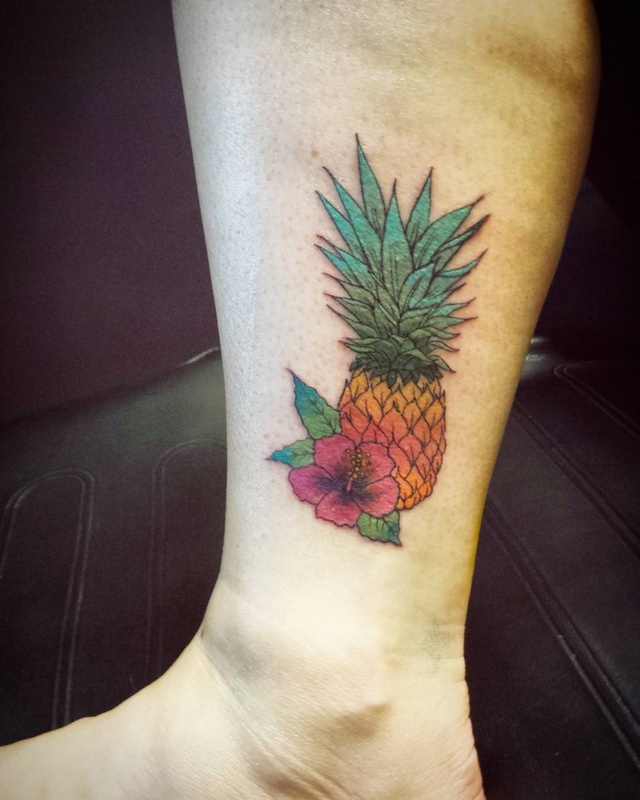 Tattoo lovers go for tropical flowers to signify their aroma as well as striking beauty. From lotus, hibiscus, morning glory, orchids, tulips, lilies to chrysanthemum; choose a tropical flower that reminds you of exotic places. Lace and flowers both work together to show femininity. 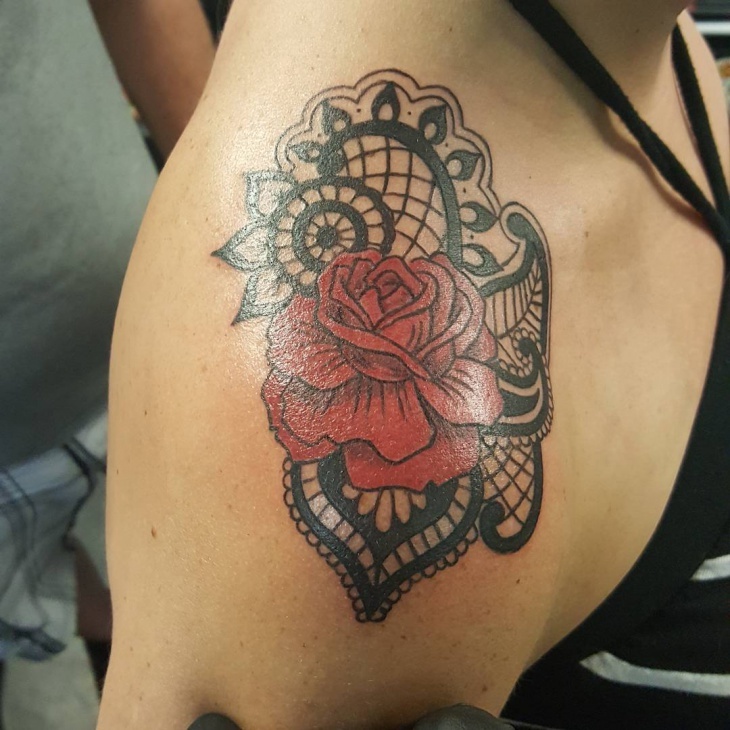 Lace looks elegant and classy and even in a tattoo design it still exudes the same characteristics. 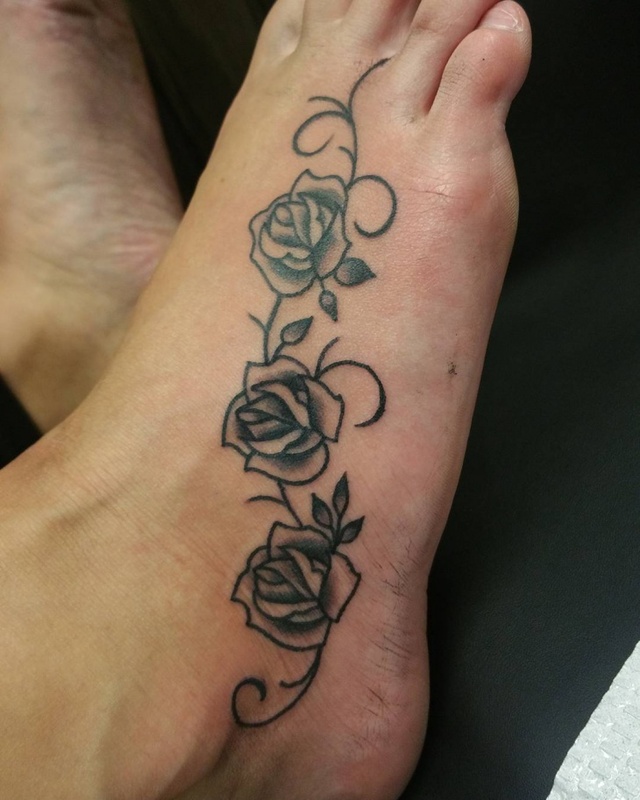 Lace flower tattoo designs are detailed hence when getting it make sure you have the time and patience. 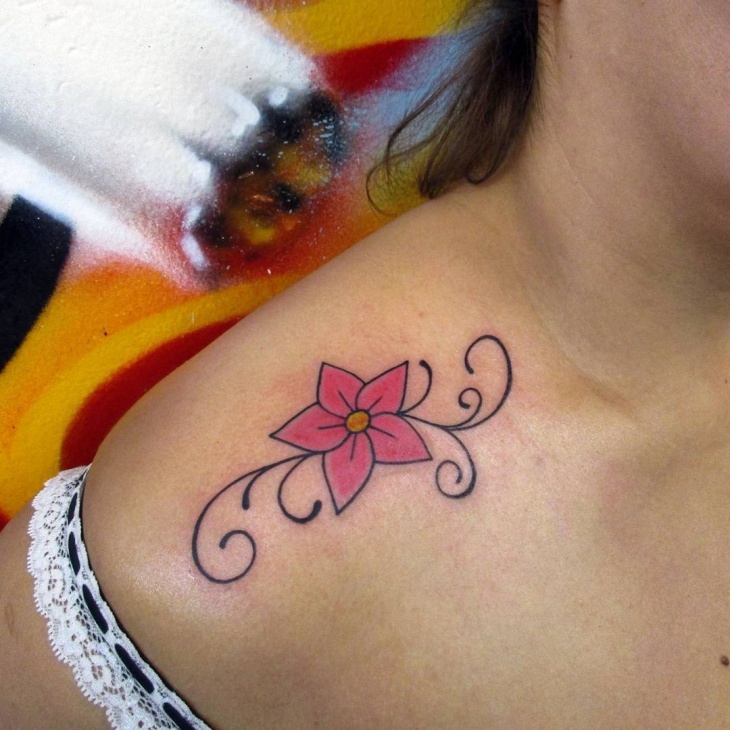 If you are a lady who wants to get a striking flower tattoo design, then place it on your arms. 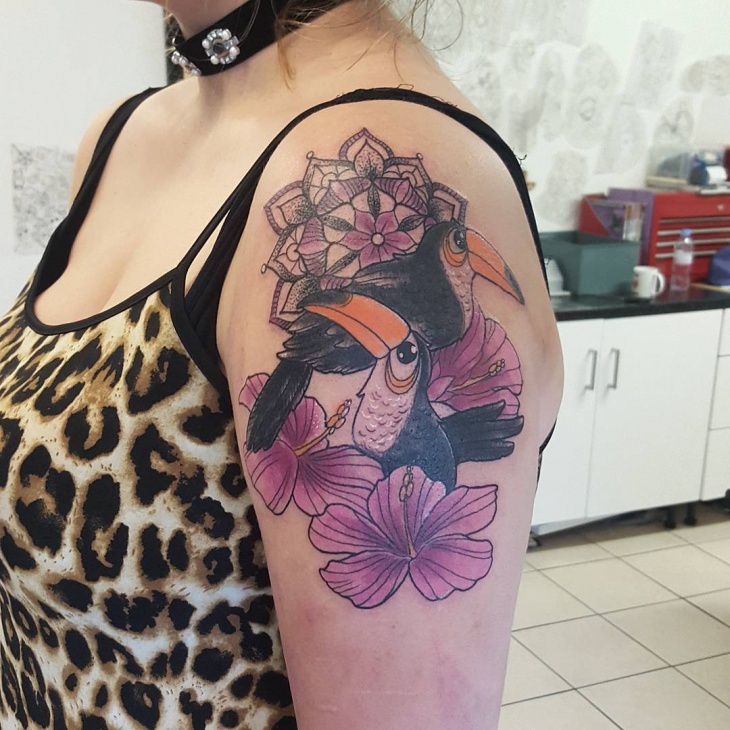 Many people go for these tattoo designs because they provide ample space for any cool body art making any color visible. The pain is relatively less compared to other body parts. 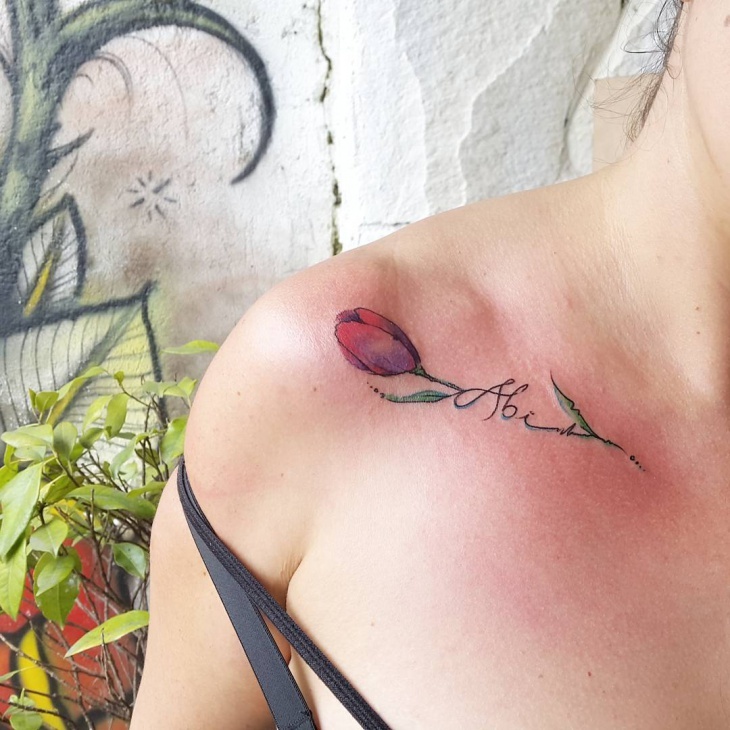 A rose is the most popular flower tattoo design in both male and female categories. 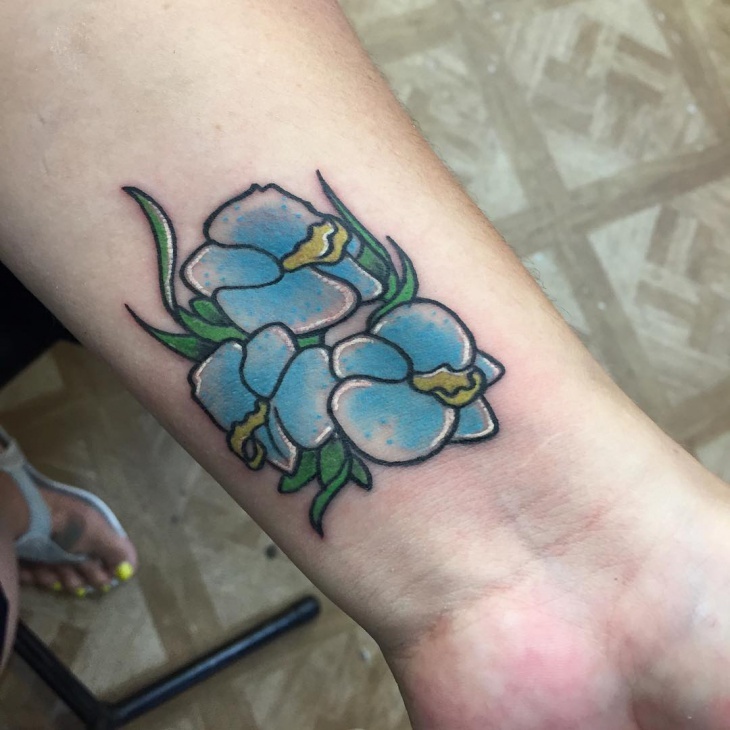 This flower looks good with any other tattoo design and can be easily modified to enhance the beauty of a tattoo. 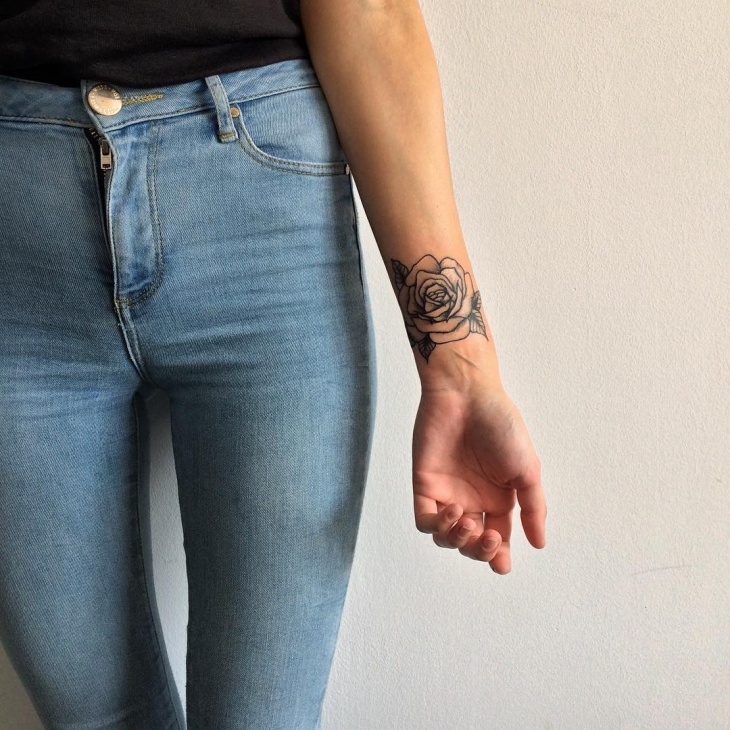 Ladies usually go for a rose tattoo because of its beauty or symbolic spiritual meaning. 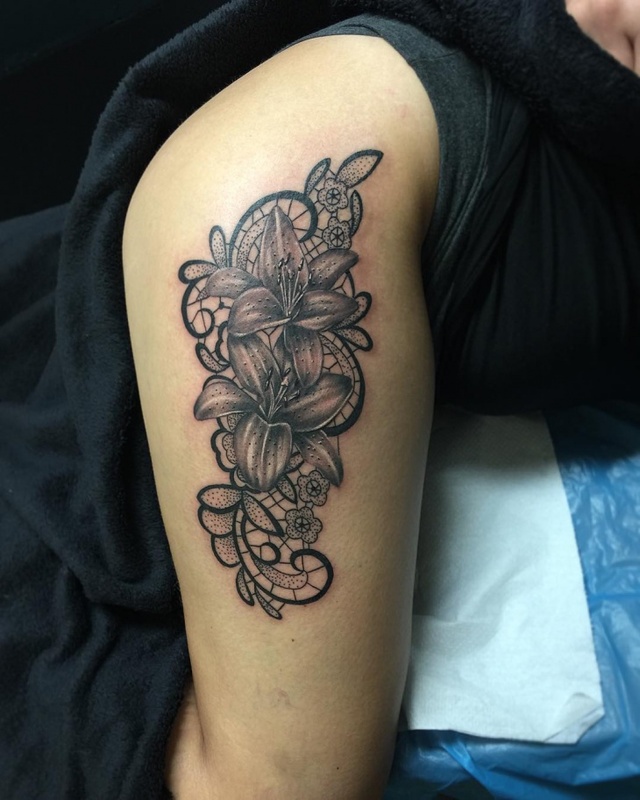 Vine tattoo designs are eye-catching and mostly feature brown or green color. They vary in size and length and can easily be incorporated with flowers to make a beautiful design with varying symbolic meanings. 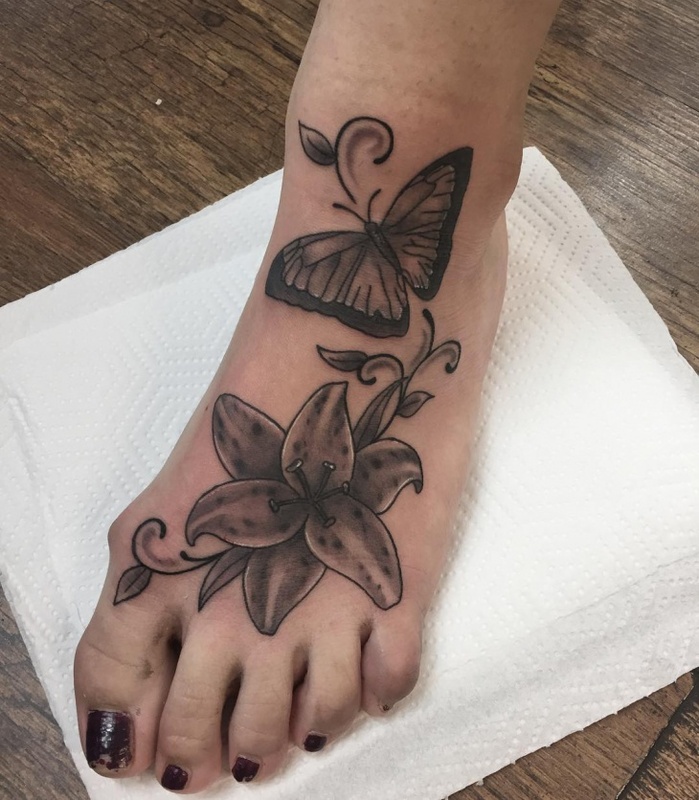 Just like in houses vine flower tattoos work to decorate the body and symbolize fertility, loyalty and good luck. 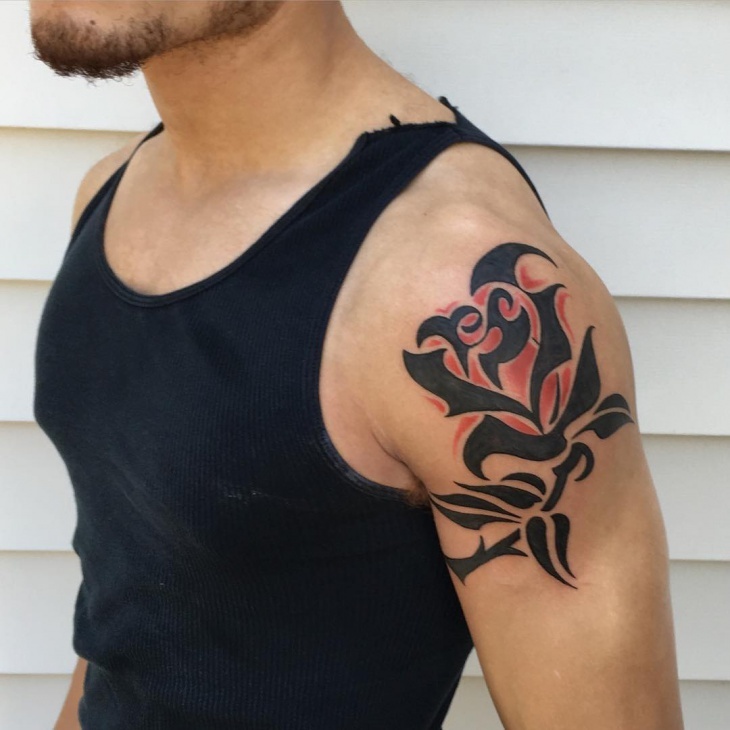 Whether it’s a rose, hibiscus, tulips or orchids, 3D flower tattoo designs will give a realistic look to your body art. 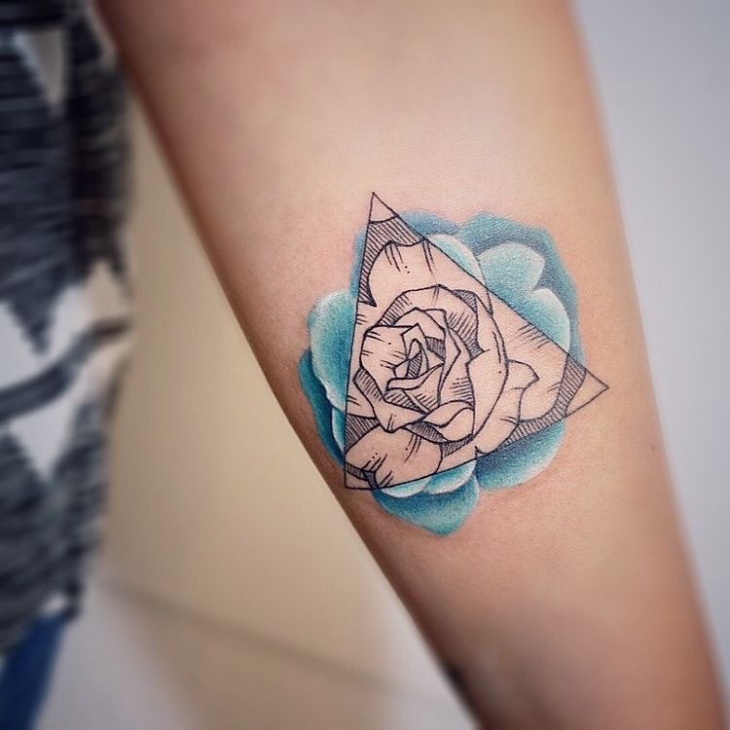 Incorporate leaves and a few water drops on your 3D flower tattoo to further make it attractive. 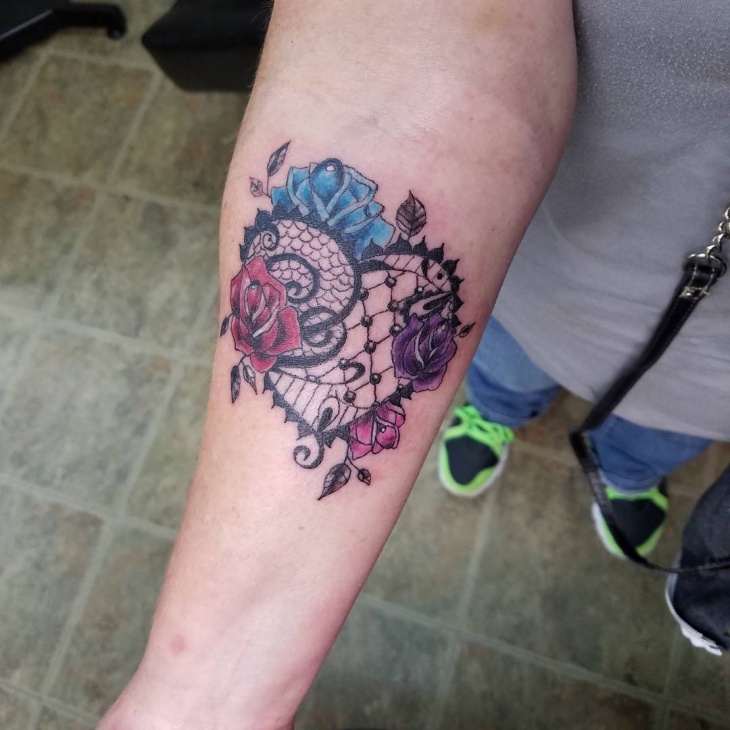 Add a vibrant colored 3d flower along a black tattoo to make it pop. 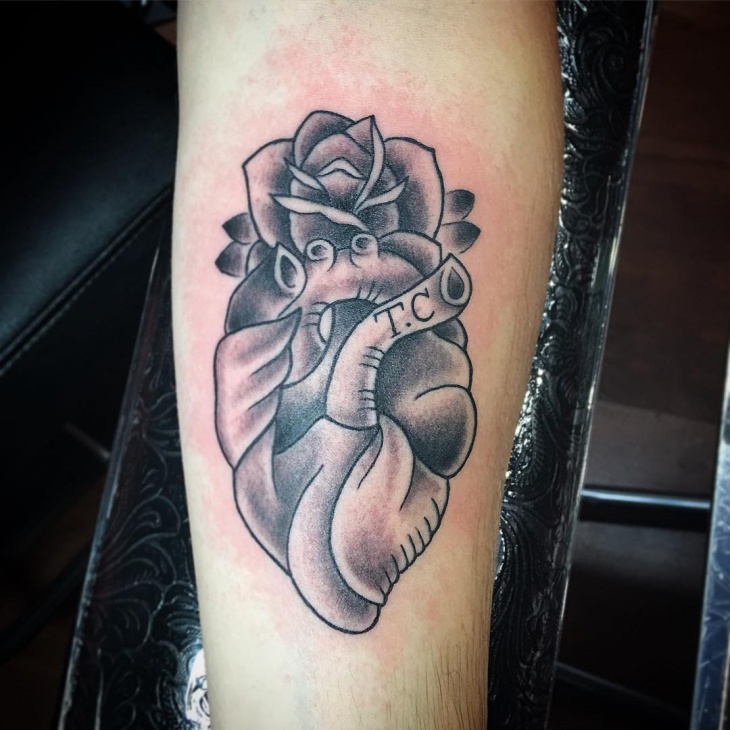 While heart tattoo is common, you can make this design more unique and attractive by going for a heart in a flower design. Suitable for females, you can get this design on the arm, neck or feet and still end up looking fantastic. 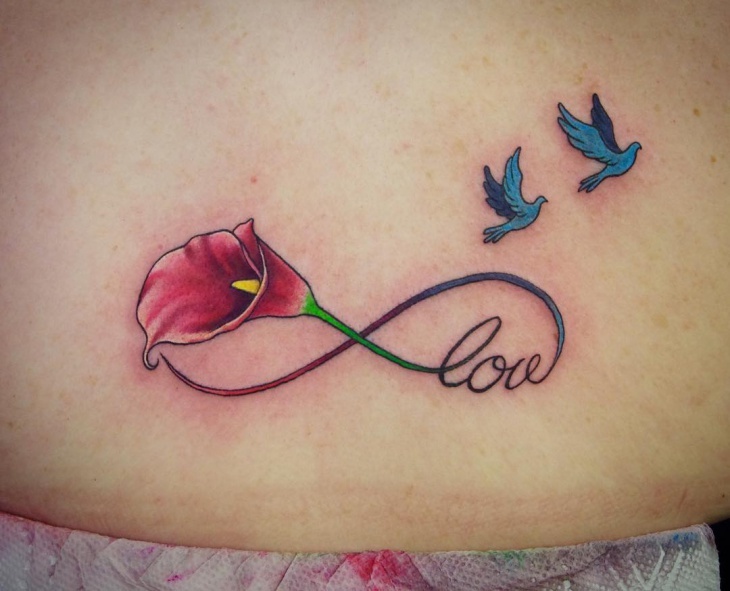 This tattoo design depicts love and passion. 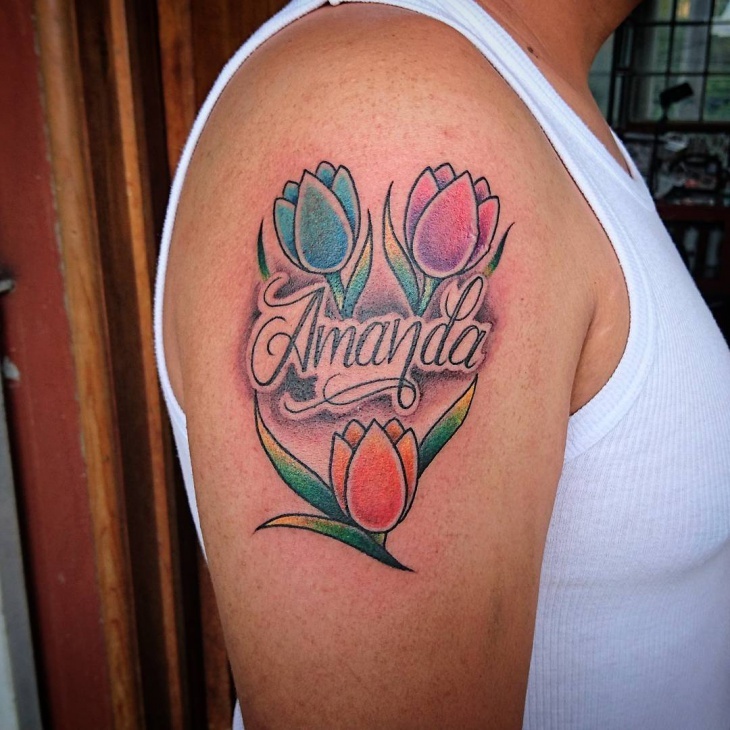 Tulips are popular flower tattoo designs because of their vibrant colors. 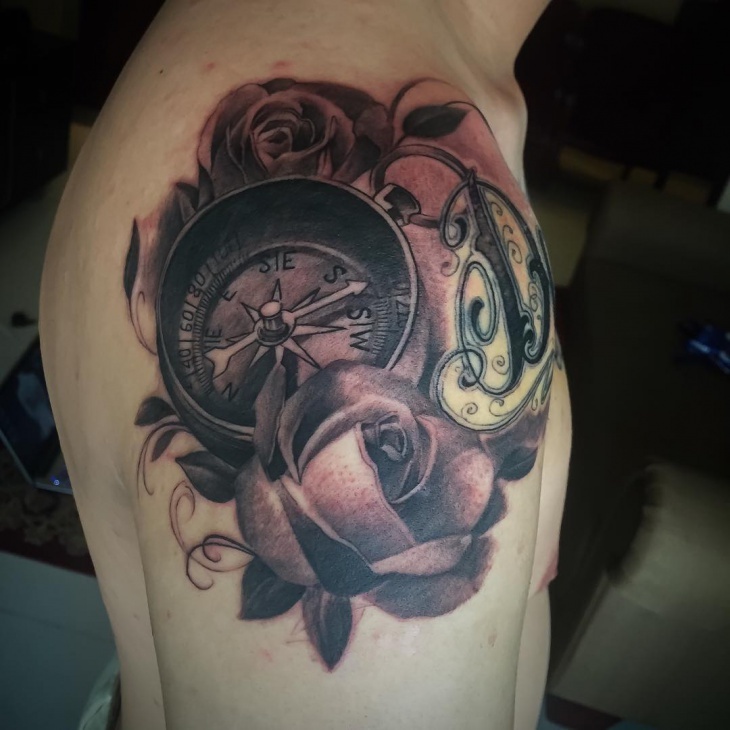 These tattoo designs are often associated with 11th wedding anniversary, unconditional love between partners, abundance and prosperity. They are timeless, feminine, have cup shape and come in various bold colors such as bright red, pink, purple or yellow. 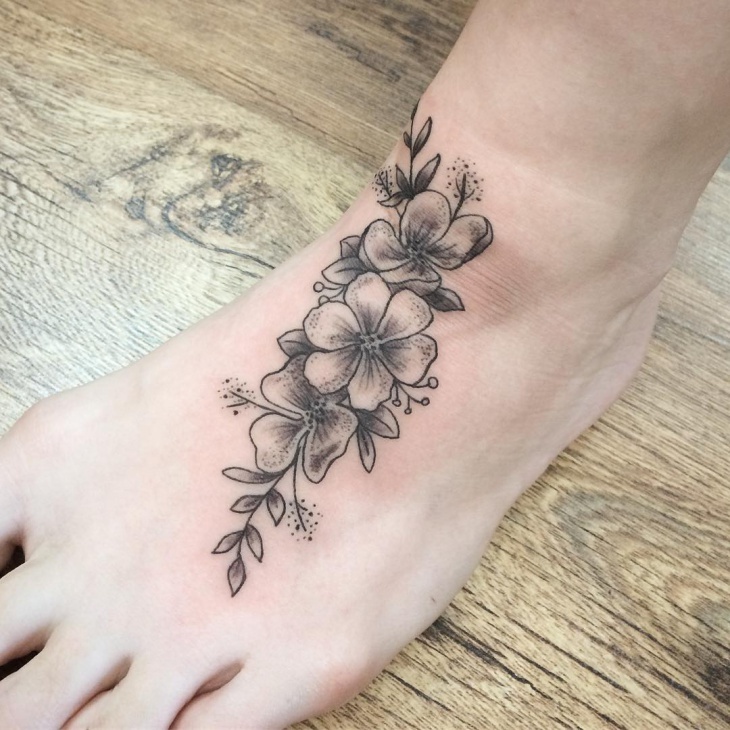 Oriental flower tattoo designs get their influence from the eastern culture especially Chinese and Japanese. 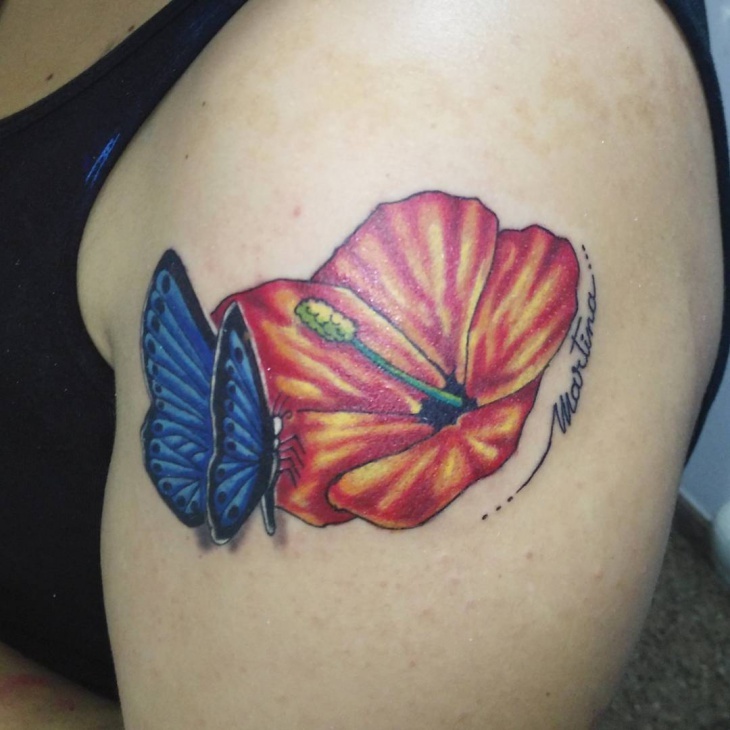 The colors and the style both blend to form a body art that is pleasing to the eye. 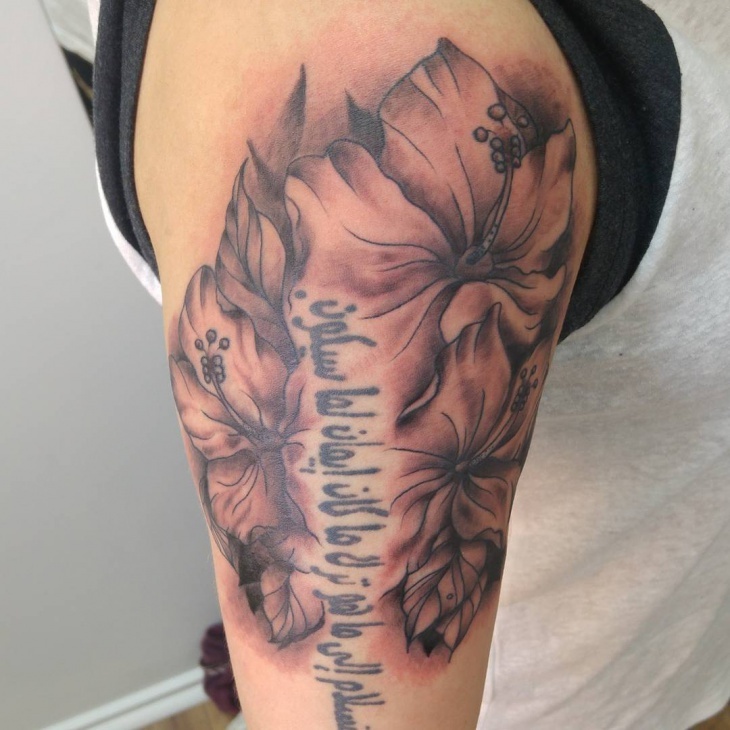 Each flower color has its distinct meaning hence with oriental flower tats you will be getting a unique design. Gothic lifestyle tends to fascinate most people because of the mystery associated with it. 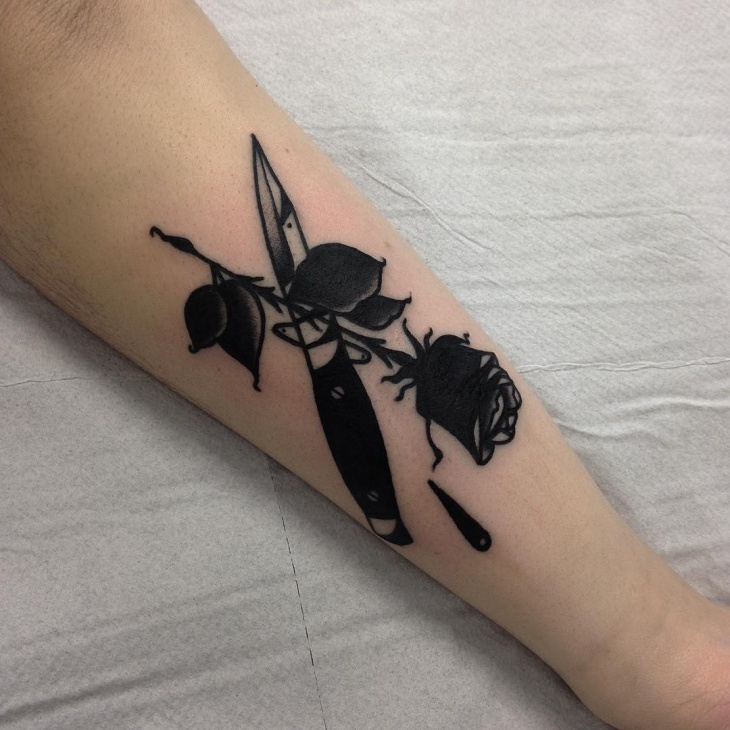 Gothic tattoo designs are the ultimate form of expression to young people. 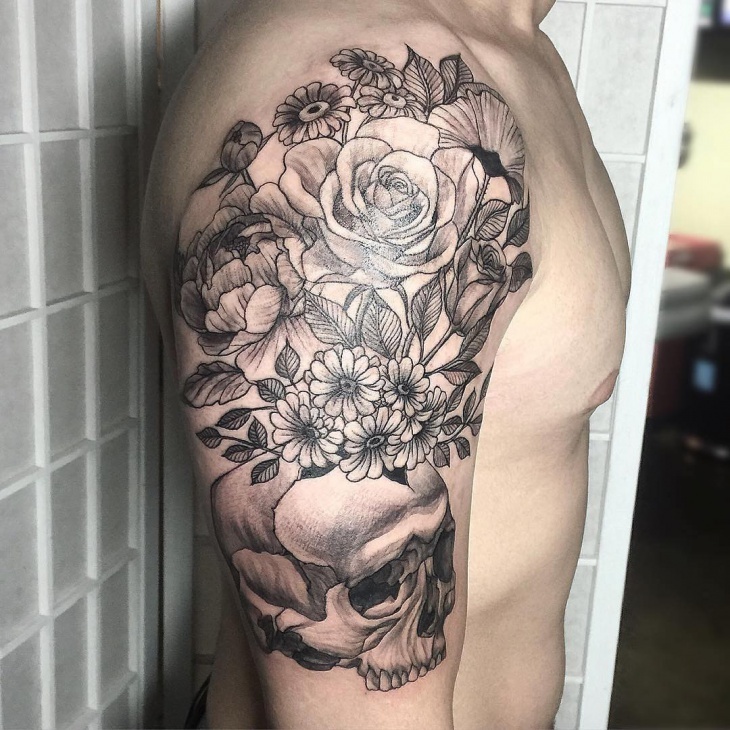 What makes gothic flower tattoo designs unique is that they focus solely on black and dark gray ink and they accompany other elements such as skulls or skeletons. 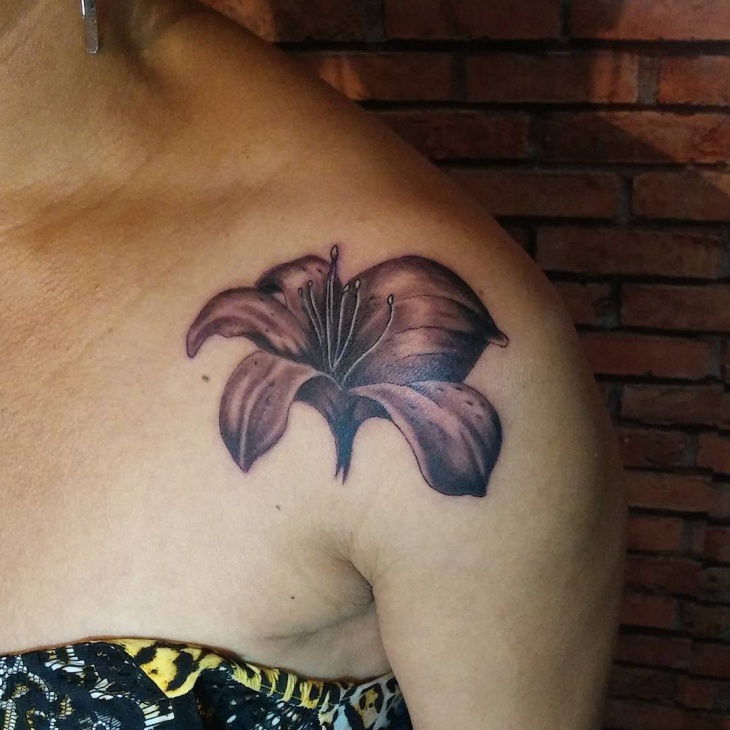 When it comes to choosing a flower tattoo design with symbolic spiritual meaning, then go for a lily. 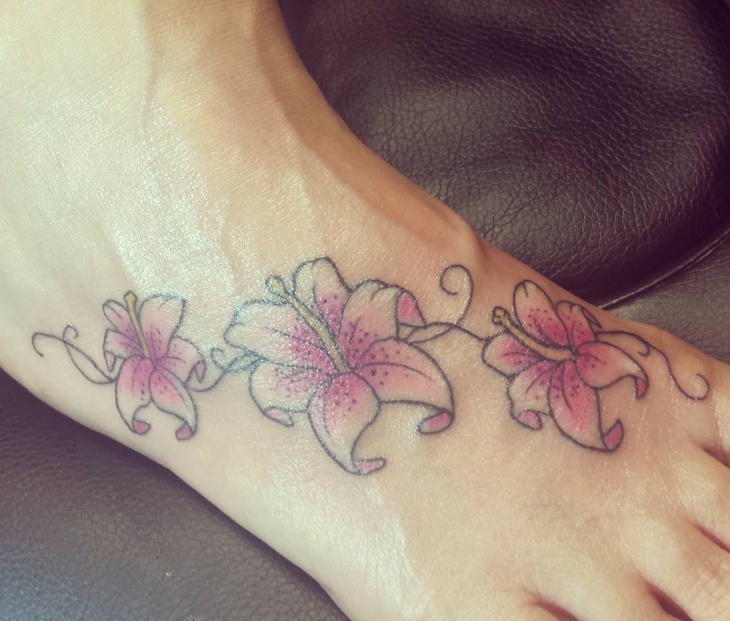 Greeks associate Lily with sexuality, fertility and motherhood making this tattoo design suitable for women. 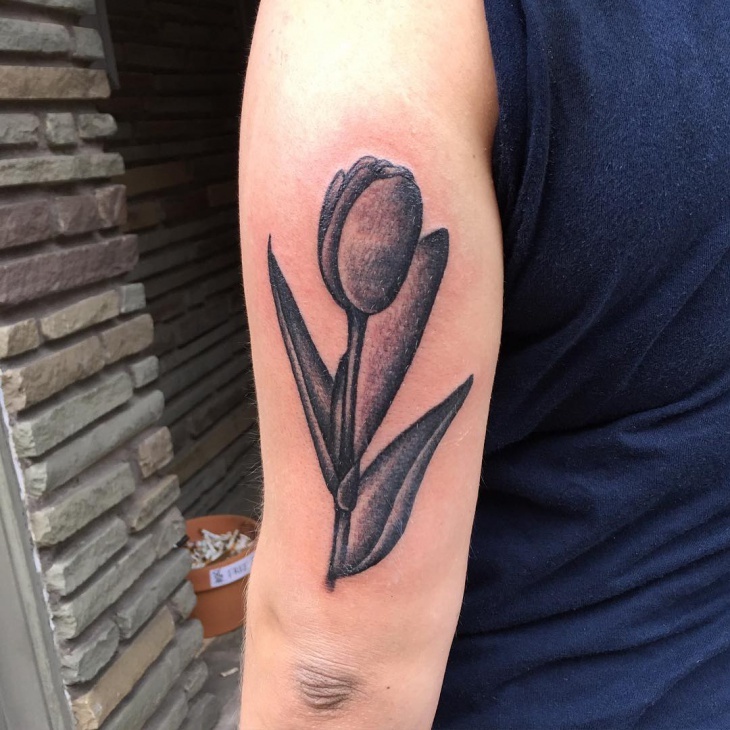 Daring men can also go for a lily flower tattoo design to remember a special phase in their life. 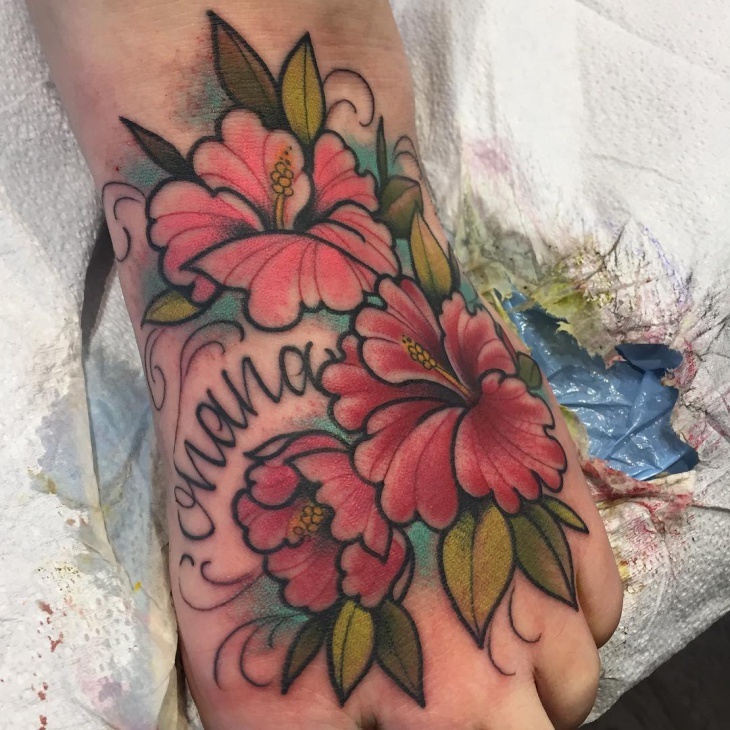 Flowers provide a wide array of colors to choose from, making them ideal for foot tattoos. They are appropriate for men and girls who love wearing open shoes as they will expose the design. 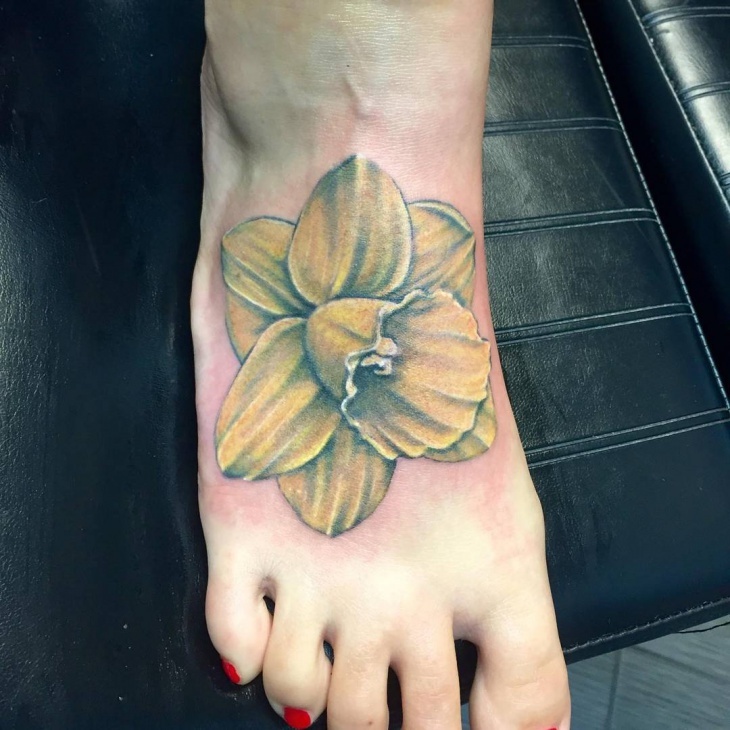 From black, red to yellow colors, there is a tattoo design that will look good on any feet. 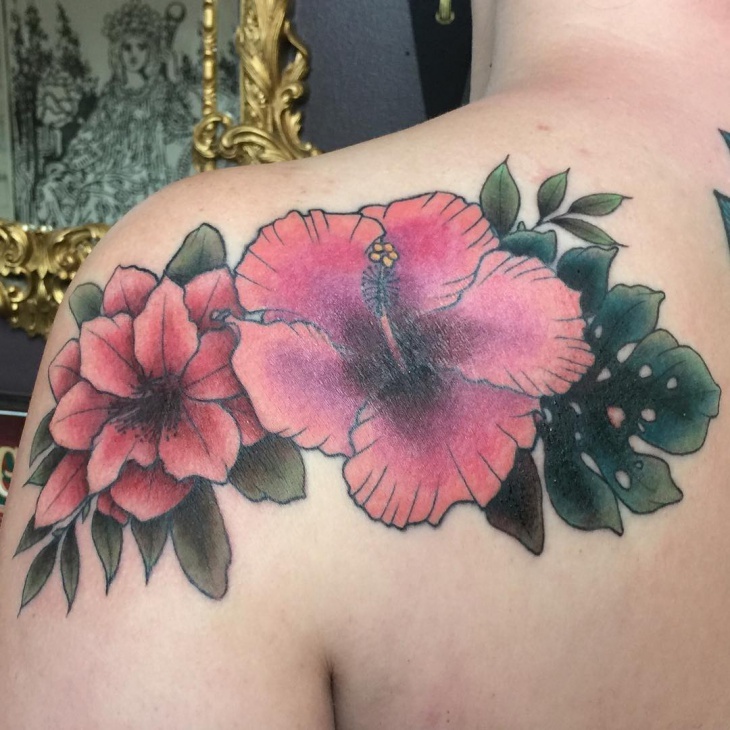 Not only is a hibiscus flower tattoo design appealing, but also popular in various cultures such as Malaysia and Korea. 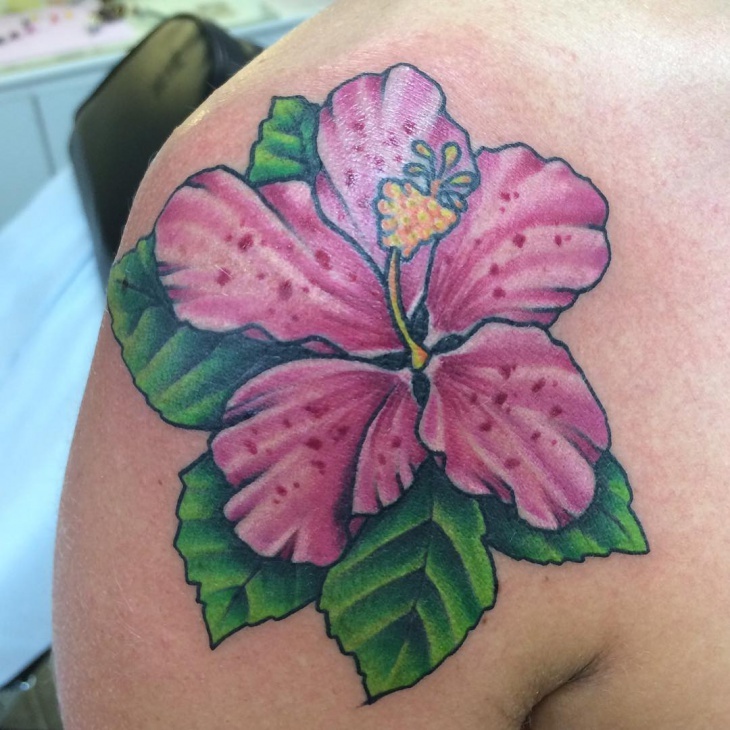 With over 200 hibiscus variety you will surely find a perfect place to ink this flower tattoo. It depicts an exotic Pacific island hence blends well with other tribal arts. 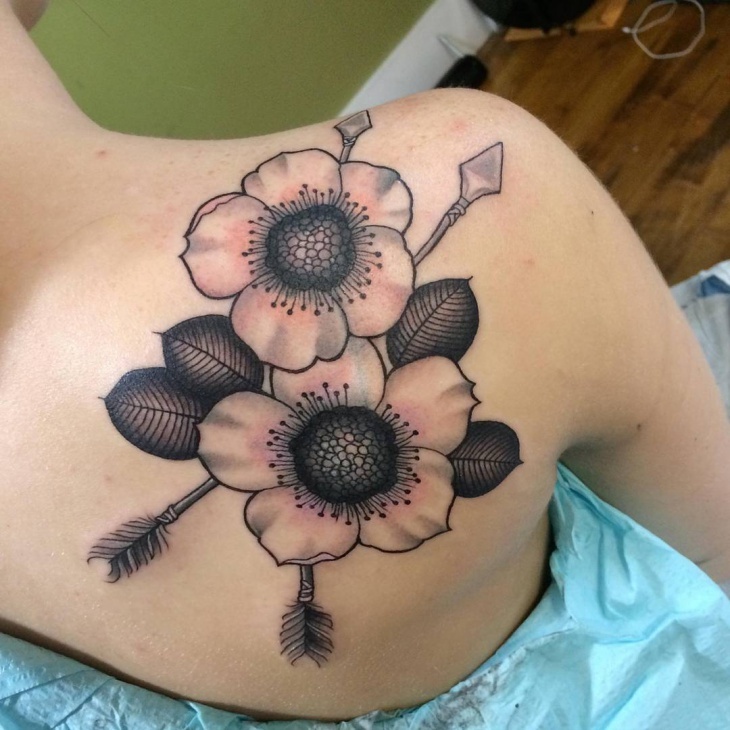 Black flower tattoo designs symbolize a dark past or life threatening phase in a person’s life. 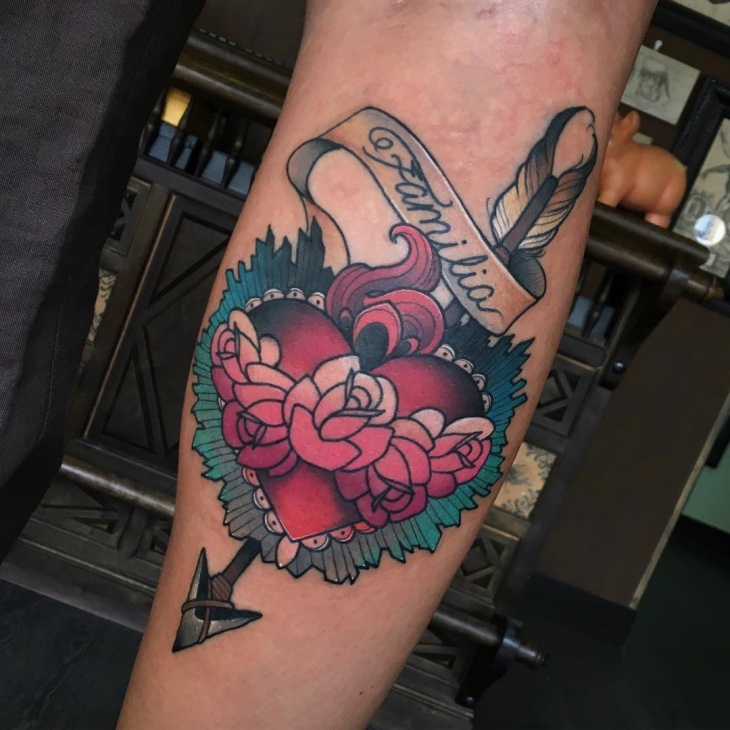 Suitable for people who have experienced heartbreak; these tattoo designs will show farewell or moving on from that chapter. Go for flowers such as black dahlia, black pansy, black calla lilies and bat orchids. About Flowers Specialty and For Whom It Is Suitable? 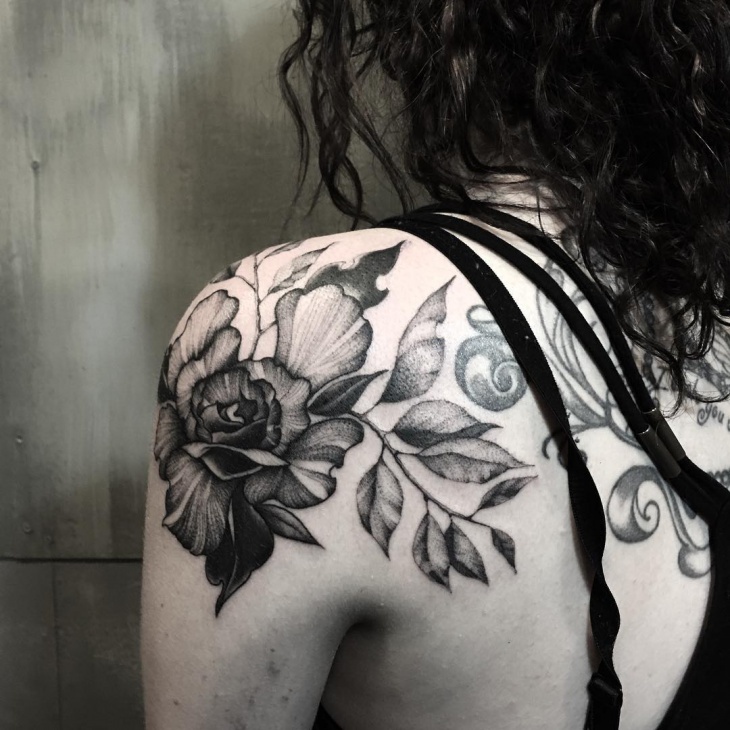 Whether as a single design or in combination with other elements, flower tattoo designs are beautiful. They are most popular with ladies since they look feminine and have symbolic meaning such as rebirth, fertility, and life. 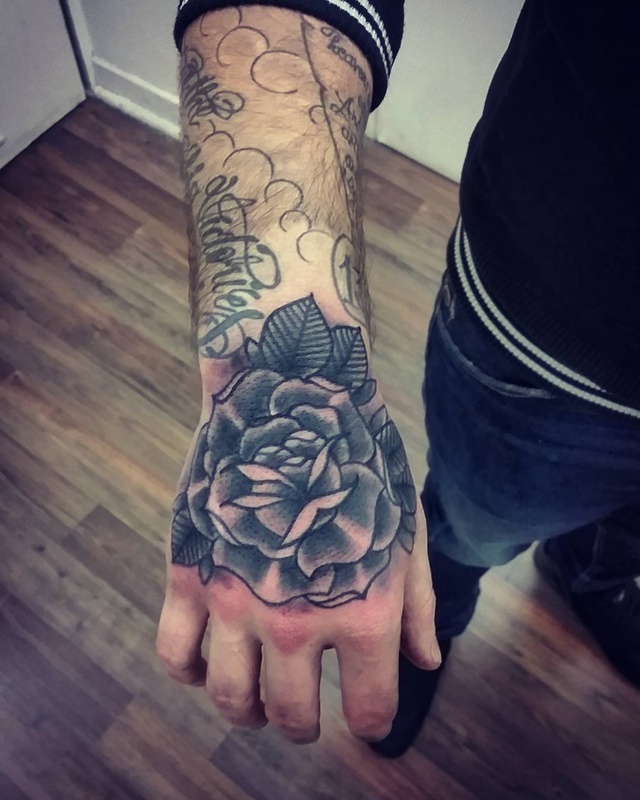 However, guys can also incorporate flower designs on other tattoos such as a skull, dagger and cross. 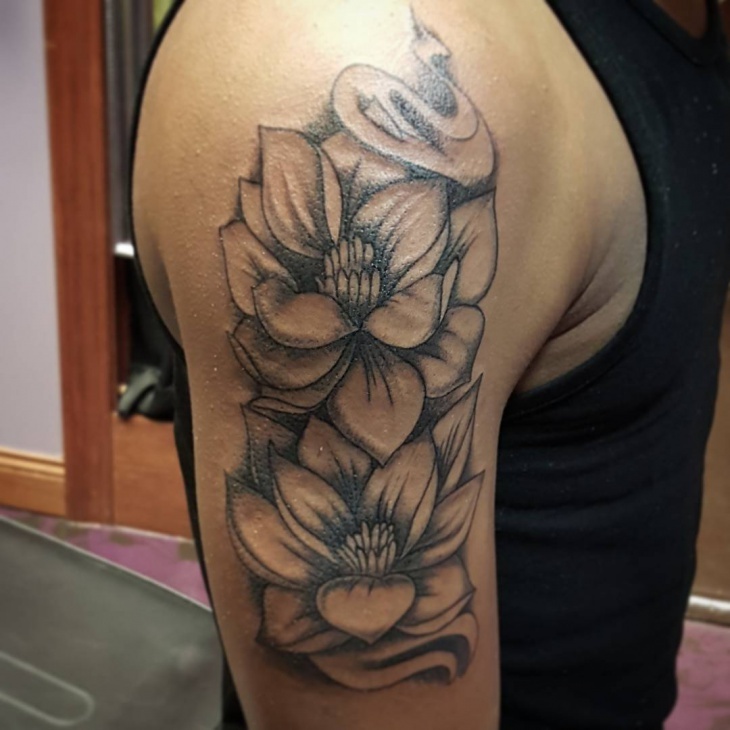 Most people choose flower tattoo designs base on their symbolic meaning and relation to particular cultures such as Indian, Chinese, Egyptian and Japanese. 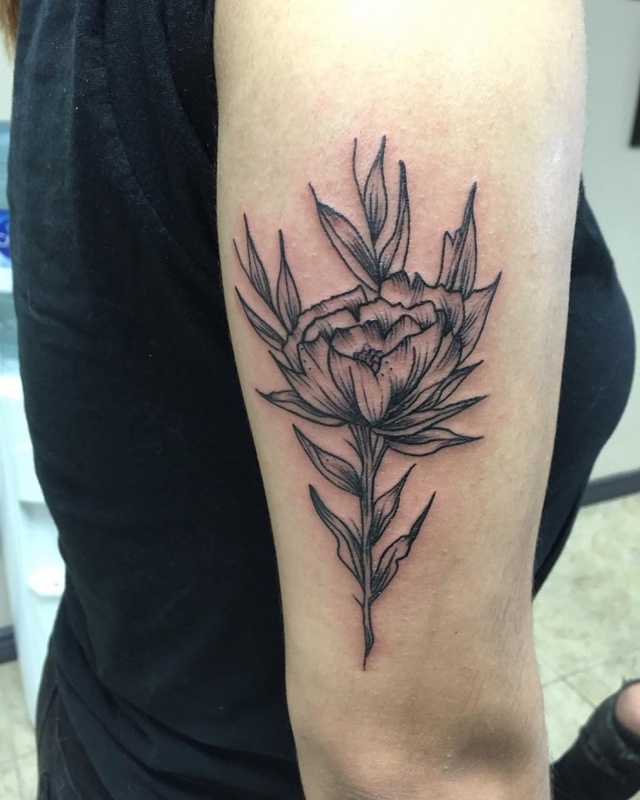 Flower tattoo designs look good on all genders. 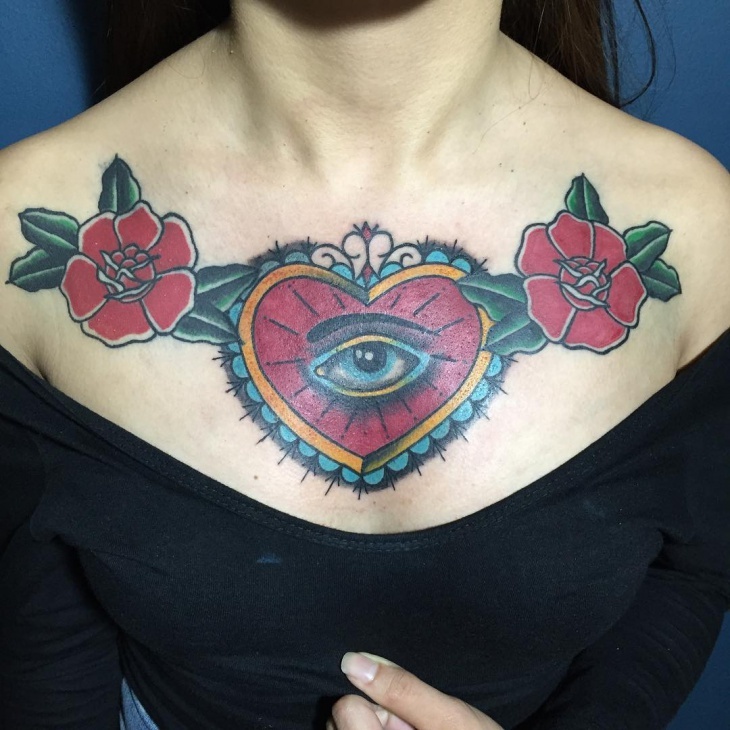 Apart from their different symbolic meaning they also enhance the beauty and draw attention towards that particular body part. 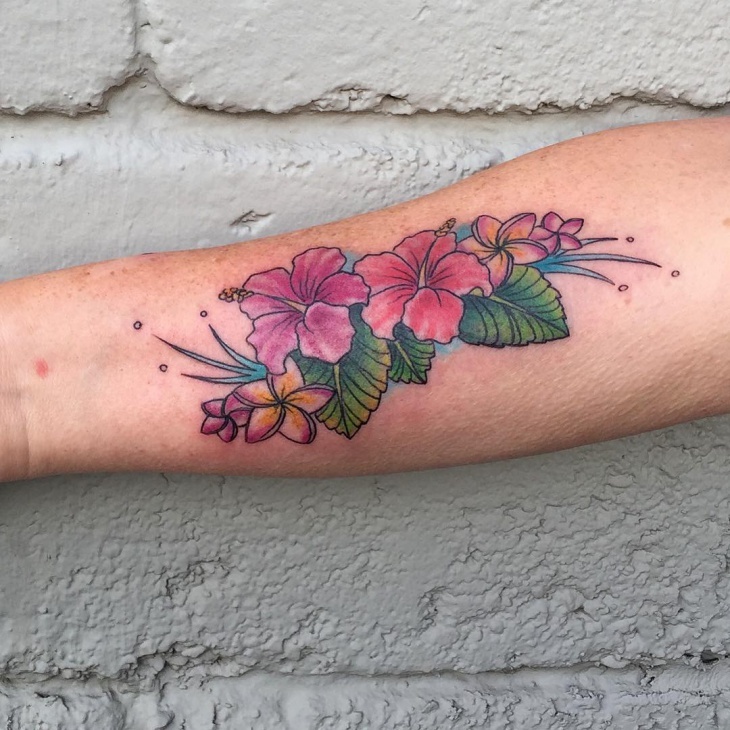 Depending on the type of flower you like, bold flower tattoos in bright and attractive colors exude a feminine image and are suitable for ladies.